After spending some time in Tokyo, we took the high speed train down to Osaka, and to our main stretch. We stayed at The Moxy Osaka Honmachi. It’s a cool hip spot, and while it’s not an apartment with a full kitchen, we are in a cool location with easy access to many areas of Osaka. On our first day after getting settled in - we went to the Aquarium, and it was really good. It had a good selection of different fish, and a well designed way to see the exhibits. 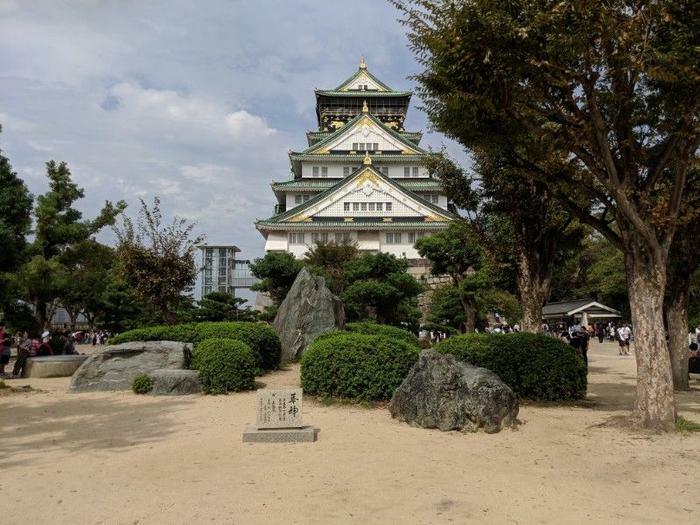 We also enjoyed visiting Osaka Castle - it’s layed out as a public space, easy to walk around with lots of paths for walking, biking, and jogging. Everything was very green, and lush. Even though the castle has efectively been rebuilt multiple times through history, it still has a lot of charm, and looks the part, and contrasts extremely with the kinds of castles one would see in Europe.